When Do You Need Emergency Towing Service? Road emergencies happen more often than you think. Drivers can get stuck on the road while waiting helplessly for a rescue. Are you ready for the cost? Are you sure about the service of the auto towing company that will come to get you and your car? How long will you wait until it comes? This is why you have to prepare yourself for emergency towing service when one of these events occurs to you to save you from further trouble and to ensure high-quality assistance. Road safety is an utmost responsibility of every vehicle driver. However, no matter how careful he is, accidents still happen. That is why there should be a company to attend to this matter. In 360 Towing Solutions, we and our network of independently owned and licensed affiliates are part of the team that keeps you and your vehicle safe. We are dedicated to providing you with the highest quality of Emergency Towing in Texas Area. We believe that our capability of providing Emergency Towing services comes from our long-term competitiveness and reliability. Despite the fact that there are a lot of Emergency Towing Dallas companies here, our company is the most trusted one in the industry. We are indeed dedicated to fulfilling our promise to attend to your needs. 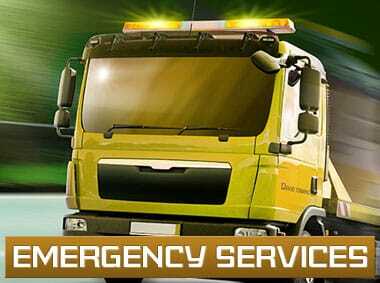 Always depend on us for your emergency road problems. Our team will immediately come to the rescue involving you and your vehicle or other people’s vehicle. In fact, we employ a team of professionals and skilled experts in the towing business. Our team is always on the clock to assist and provide emergency help to you. Our towing services are guaranteed to be on their way once you call us for help. Whatever time of the day, we are sure to cover for you and get to your side whenever we can. We believe that you, our customer, deserve the best service. We understand whatever situation you are stuck into involving your vehicle. Here in 360 Towing Solutions, we and our network of independently owned and licensed affiliates fully understand that it is hard to be in the position when your vehicle gets involved in an accident. Aside from its cost, it would give you emotional stress and would be hard for you to recover from. So as part of our customer-focused service, we make sure our Emergency Towing services are set at fair and affordable prices. Our services for Emergency Towing in Texas Area are done in a respectful manner where we give total care to your vehicle and appreciation of its value. The personnel we have are the most highly skilled, courteous, sympathetic, and caring individuals. Remember, we are the towing company that puts your needs first. We would like to keep you safe while providing you the best Emergency Towing services you can have. Did your car stop? The problem can be due to brakes, engine, suspension, tires and others. You may have run out of fuel or something may be wrong with your battery. Are you stuck in the mud? Don’t make any attempt to pull your car out specifically if you do not have any knowledge as you may cause damage to the car. When one of these happens to you in the wee hours of the morning, you will definitely feel frustrated because help at this time is almost impossible. But when a 24/7 towing service is available, there’s no reason for you to worry; help will surely come. The same thing happens when you meet a vehicular accident. It becomes total wreck that driving it is not possible. It can also be that you can still drive the car – but don’t ever think about it because you have no idea about its damages. The lockout is also one reason you need to have your vehicle towed. Call us for Emergency Towing in Dallas to ensure the safety of your car. Seeking the help of a legitimate company can also guarantee your protection. There are reasons people urgently require towing service – other than vehicle-related concerns like car lockout, the vehicle breaks down and a flat tire. One of these is the driver’s lack of ability to operate the car. One reason for this is sickness during the trip. Because you are alone or the people with you cannot drive, calling for a towing assistance is necessary. It’s not proper to look for and then hire a stranger to drive you and your family home. It is not safe. With the help of 360 Towing Solutions and their network of licensed affiliates experts, you can be sure that your car and your family can get home without any trouble. Isn’t it great to know that someone is always prepared to provide towing and roadside assistance? Isn’t it convenient on your part if the company that you will call offer 24/7 auto towing service that you will not have any problem in case your vehicle encounters mechanical issues or meets an accident? Yes, you will enjoy the advantages of having access to an urgent towing service. Call us (972) 619-5012 as we provide emergency towing in Texas area. We assure high quality, quick and affordable towing solutions. Tell us your concerns and your location and we will immediately send our tow truck and our staff to provide you with our service.